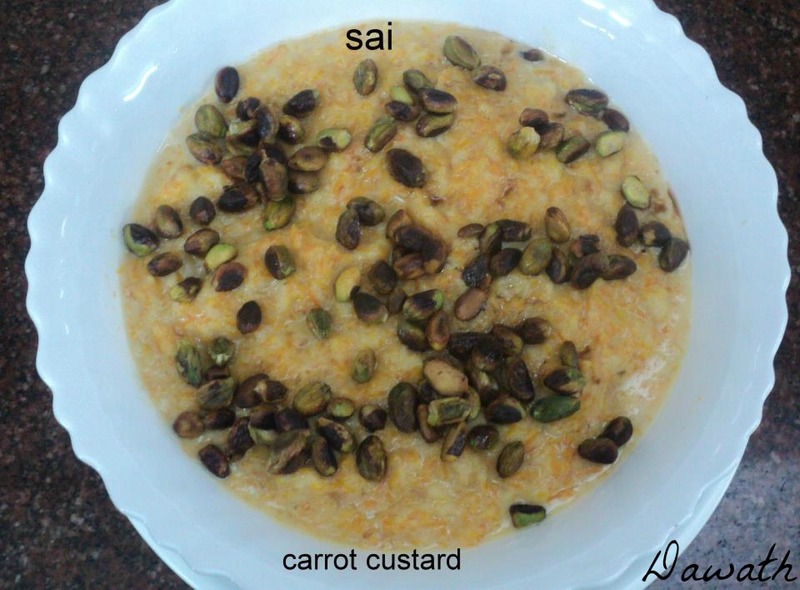 Carrot custard is a yummy custard.I first tasted this at my workplace when we had potluck party and my colleague had prepared and brought this.I immediately took the recipe from her and ever since that day I’ve been preparing it.I found this picture in one of my folder and thought of sharing the recipe. Dip the bread slices in milk,immediately take it out and keep it aside. Grate the carrots and boil it with ½ lt milk. Once it is cooked add 1 lt milk,sugar and take a boil. Add soaked bread pieces and give it a stir. Add essence and mix it. Roast the dry fruits in ghee and garnish it.